Twitter is a personable and professional network to add to your social recruiting strategy. With 313 million monthly active users, Twitter helps share your agency’s message and reach new talent in a fun and engaging way. With an average of 500 million Tweets per day, Twitter is crowded with a lot of chatter. Here’s how to cut through the noise on Twitter to attract the talent you want. Twitter is a platform for engagement and conversation. Add Twitter to your social recruiting tools alongside Facebook. When you’re on the search for entry-level and experienced job seekers both in the US cities and internationally–30% of online adults under 50 use Twitter with 4X as many users internationally as in the U.S.
Like social recruiting on Facebook, focus on tweeting relevant and useful content for your ideal talent while showing a more personable side of your agency–people use Twitter for the conversations, not just promotions. Include an image whenever possible–they get more clicks! You and your staff understand the basics of Twitter, but how do you use it to find the talent that you want? Using Twitter’s search feature, you can find candidates–and other job listings–by location, role, and niche. You can also search by hashtags, like #salesjob, applicable to the role you want to fill. Share insightful content within your industry more than you promote open jobs. Twitter is a platform for conversation and engagement, so use that to your advantage. Respond to all direct messages (DMs) and tweets directed at you. Retweet industry news and helpful articles to grow your followers. Participate in existing conversations. Search popular posts by hashtags then read through responses and respond in a friendly way. When posting your own tweets, add no more than 2 hashtags per tweet to avoid looking spammy to your followers–more than 2 hashtags drops engagement by an average of 17%. 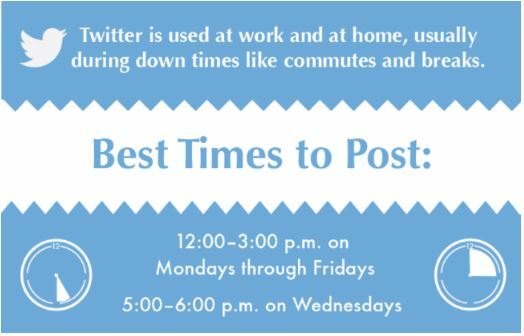 If you or any of your staff are new to Twitter, here are some basics you should know. The @ sign is used to call out to specific usernames. For example, a tweet could say “Hi @twitter!”. Usernames are used to send a Tweet or Direct Message (DM) to a user. Your username is how your company is identified on Twitter. For example, Twitter is @twitter. Your bio is a short description about your company, which can include up to 160 characters. This is a good opportunity to show off your agency’s personality. Direct messages (DMs) are private messages that can be sent between Twitter users. DMs can be between a single Twitter user or a group of Twitter users. You can subscribe to any Twitter account to see their Tweets as soon as they post something new. Hashtags are words that are preceded by a ‘#’ sign within a single Tweet. You can click on a specific hashtag to see more content related to that topic or search by the hashtag. Lists can be utilized by your company’s Twitter account to group together Twitter users based on topics or interest. You can quickly share someone’s tweet by retweeting it. Retweets include original attribution, which helps build rapport and increase engagement with the original Twitter account. A Tweet can include photos, videos, and text up to 140 characters. Want to learn more social recruiting best practices? Check out our blog post on recruiting on Facebook.